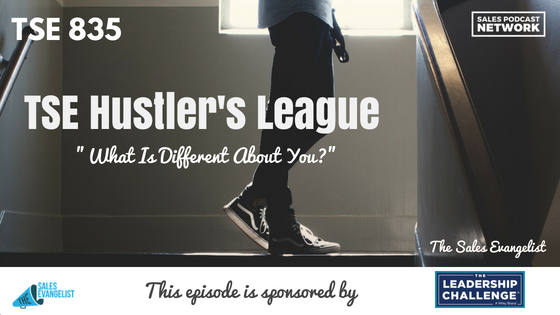 TSE 835: TSE Hustler's League-"What Is Different About You?" You are not the only salesperson who has contacted your prospect this week. In fact, she has likely heard from 10 other salespeople selling exactly the same thing you are. So what is different about you? How do you differentiate yourself from the other 10 people so she’ll want to move to the next step with you? 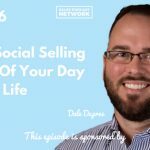 Today, on The Sales Evangelist, we’ll discuss how you can set yourself apart in your relationships with prospects. If your only focus in your initial contact with a prospect is setting an appointment, your focus is too narrow. You must go into every appointment with the intention to provide value; to bring something to the table. In other words, what can you offer the prospect that she can’t get from any of the other 10 people? Busy buyers have lots of options, and you don’t want to be just one of many options. What is different about you? Why should the prospect meet with me? What can I offer that she won’t get from anyone else? What will she miss out on if she doesn’t meet with me? Recognize that she has many roles in her life, and this is just one of them. Do your research and figure out how to provide value to her. In my early days of selling, it never occurred to me to think about the prospect and what she might need. Instead of helping my prospect, I was focused on getting appointments and closing deals. I discovered my mistake the hard way, and I learned that prospects have no shortage of choices, so I needed to do more than sell. Before you meet with your prospect, conduct some research. Call the company and speak to people who can give you insight about the problems the company is facing. Find a solution to those problems and bring those solutions into your meeting. In the case of an inbound call, use your pre-existing knowledge about the industry to move them toward the next stage of the process. Look at past customers you’ve solved problems for. Look to situations in which you solved problems that the customer didn’t even know she had. Bring insights to the table that no one else is offering to move the prospect to the next step. Pick up a copy of the book The 3 Value Conversations: How to Create, Elevate, and Capture. We’ve just started a new semester, and it’s not too late to apply to see if you’re a good candidate for our program. There’s a reason I continue suggesting the book, Stop Selling & Start Leading: How to Make Extraordinary Sales Happen from our sponsors at Wiley. It’s a fantastic blueprint of all the things buyers say they expect from sellers and want from sellers. Leave us a review wherever you consume this content, and share it with someone else who might benefit from our message. 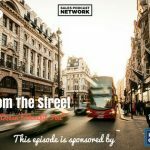 If you haven’t already done so, subscribe to the podcast so you won’t miss a single episode.